There is a museum in Dover, Ohio: The Mooney Warther Museum. Warther was definitely the master woodcarver, know for his detailed carvings depicting the history of the train. 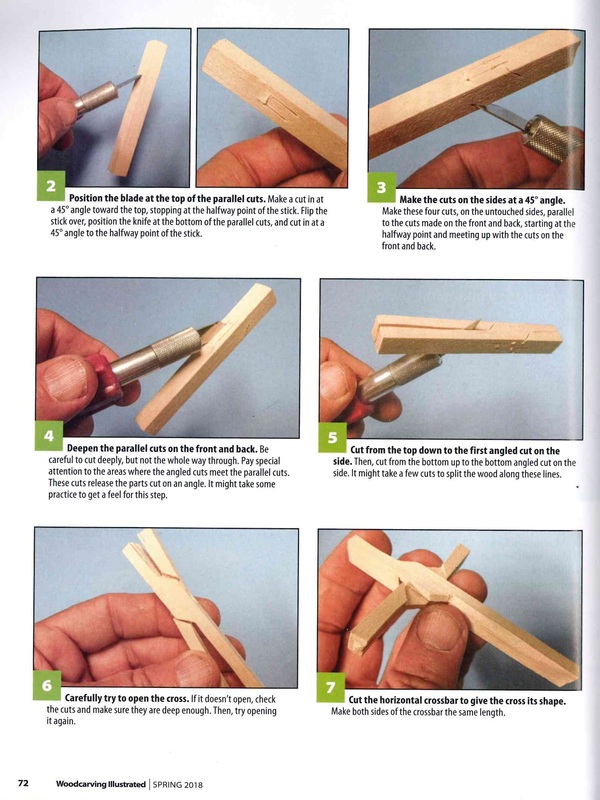 Warther started carving wooden pliers when he was a young boy. 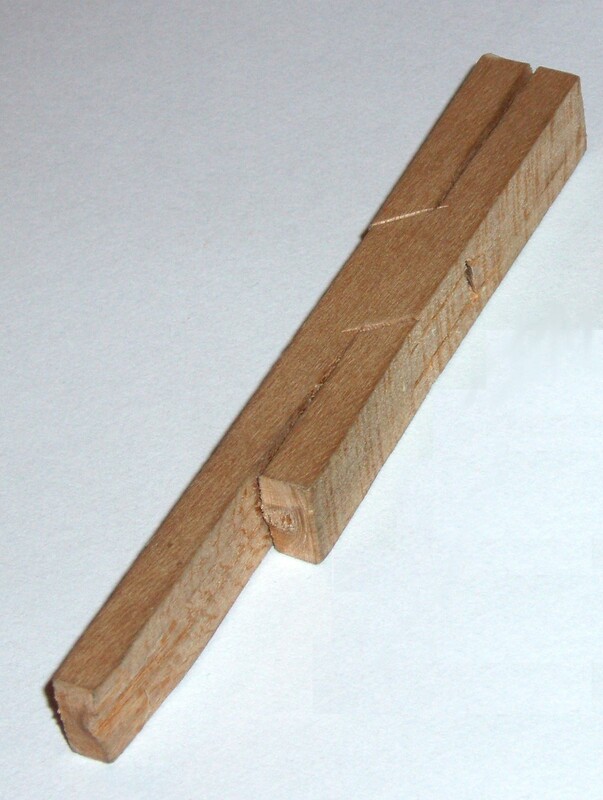 Take a piece of wood, put ten cuts in the wood, and it will open like a set of pliers. 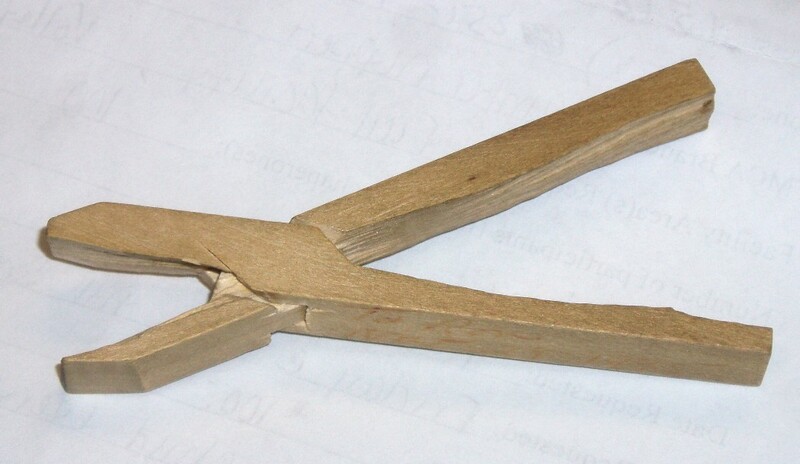 Pictured above is the pliers that was carved for me. I liked the idea, and started experimenting with the idea. 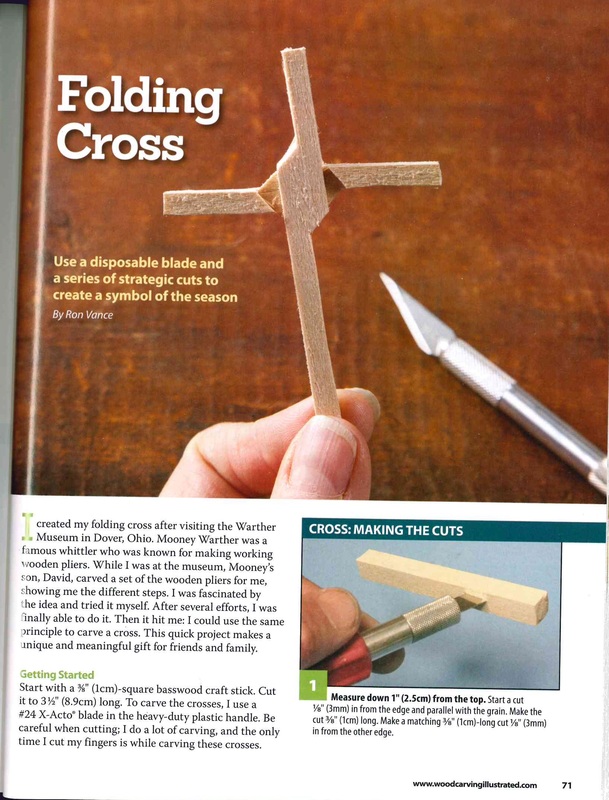 It then hit me, I could use the same principle, make a few adjustments, and carve a Cross with a moving cross bar. I have carved hundreds of these crosses through the years. They are about 3 inches long and are carved out of basswood. 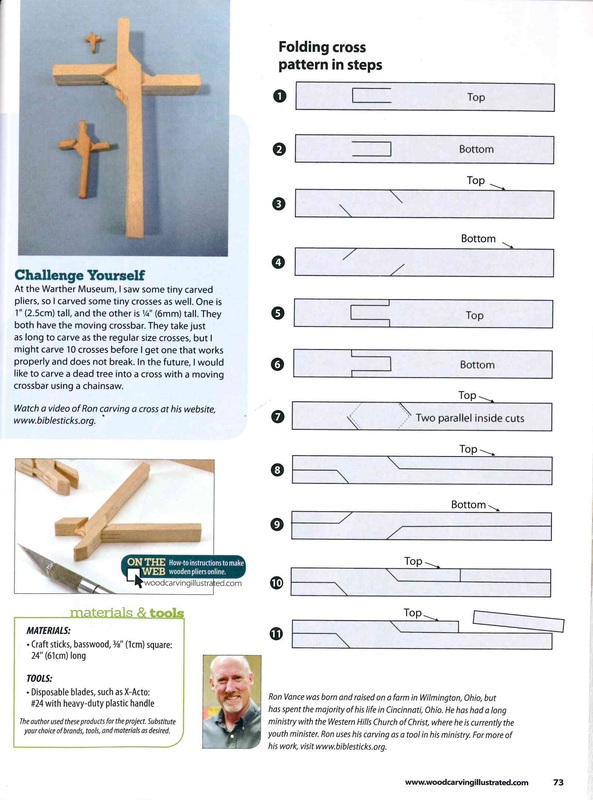 I wrote an article for “Woodcarving Illustrated” Spring 2018, describing in detail how to carve the crosses.